The City of Praise is a purpose driven church that is committed to reaching up towards God, reaching in to always keep our hearts towards God and reaching out to our families and community. It is our Resolve to Extend and Communicate Hope! We do this using the Purpose Driven Model and desire to explain our way of "REACH"ing others by the ministry diamond below. We begin with "first base" which is "membership" or "knowing Christ". Our membership ministry is dedicated to making the first visit of a guest the best worship experience possible and making all guests feel welcome and a sense of belonging so that you as our guest will want to become part of "City of Praise". "Second base" is the Maturity Ministry or "growing in Christ". This ministry is dedicated to assisting our new members to mature in Christ, learning to grow close to Him and developing a healthy worship covenant relationship with Him. 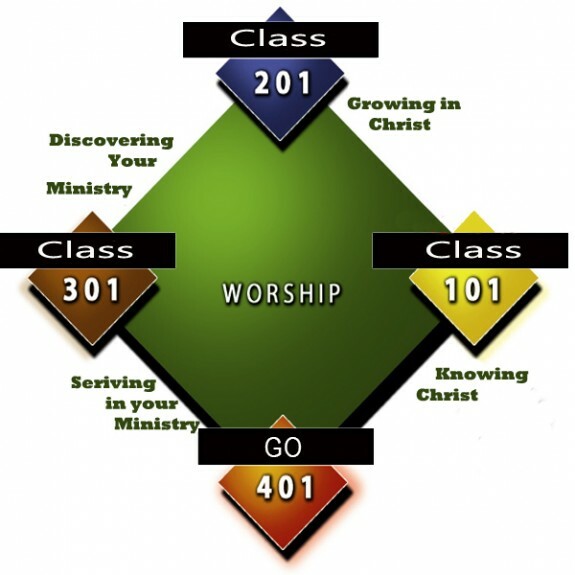 "Third base" is "Serving Christ" or "discovering your ministry". By the time a member gets to second base, he/she is looking for how to help in the ministry of sharing the Gospel. This ministry is dedicated to assisting our new members in discovering what God has saved them to do as we are all ambassadors of Christ once we belong to Him. The "home plate" is "sharing Christ" through our Missions Ministry. This ministry is dedicated to teaching our saints to reach those who may not know Christ or who have lost their way. The "center" of the ministry diamond is the "worship" ministry where all the "pitches" or delivery of the word through song and atmosphere is executed. Worship is at the center because as a purpose driven church, we want to be in the center of God's will which is to bring mankind to a place of worship! We hope that you will join us as we worship God in spirit and in truth!